This rendering produced by city of Durango staff members shows the scale of a proposed conference center, in white, on the parking lot now used by the Durango & Silverton Narrow Gauge Railroad. 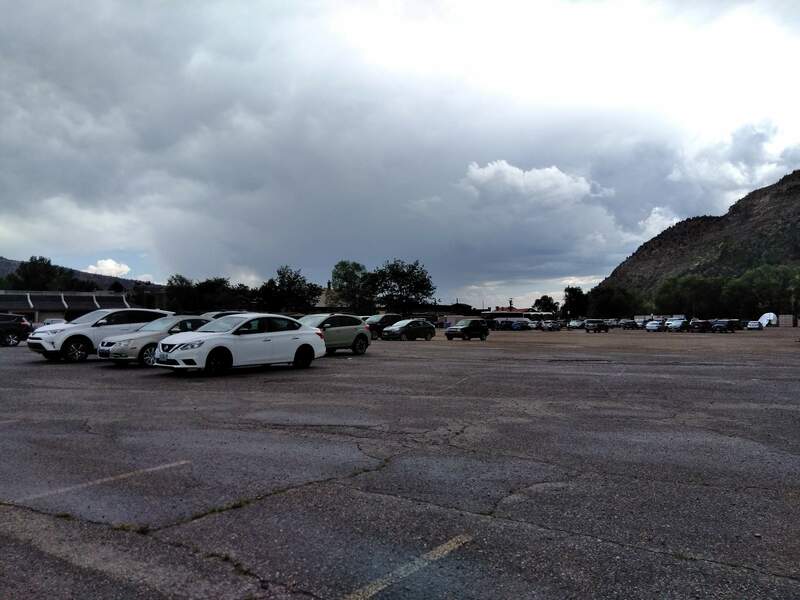 A group of residents proposes an arts, conference and events center at the Durango & Silverton Narrow Gauge parking lot on the corner of College Drive and Camino del Rio. Proponents of developing an arts and events center in Durango say the ideal site for the complex could be the parking lot now used by the Durango & Silverton Narrow Gauge next to the McDonald’s. The desire to build an arts, conference and events center in downtown Durango is gaining new steam from residents, who say the need is real and the potential economic impact would be a boon. 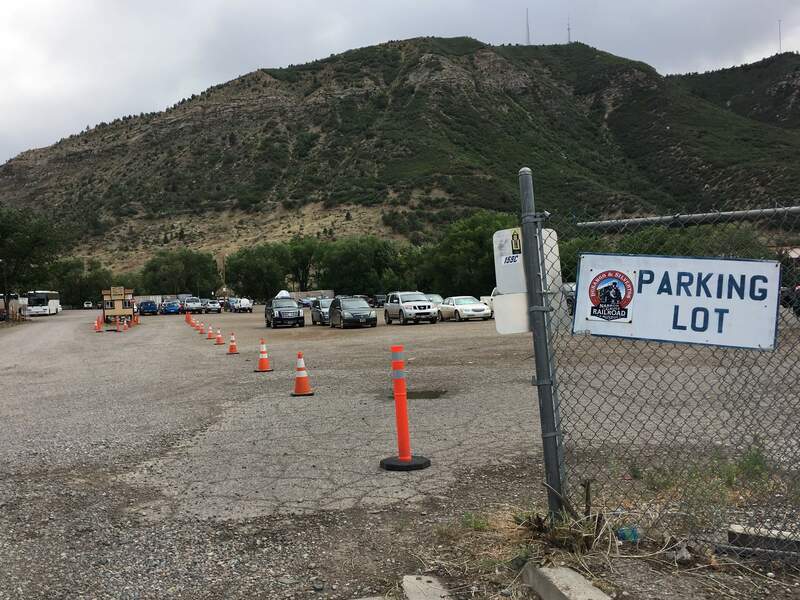 Durango city councilors heard a pitch this week for an arts and events center on a 4.6-acre parcel used as a parking lot by the Durango & Silverton Narrow Gauge Railroad at the corner of College Drive and Camino del Rio. Supporters are looking to gain an official partnership from the city to aid in the planning, designing and building of the complex. The project would cost between $34 million and $47 million, depending on the level of amenities added in the final design. A 450-seat theater.A total of 3,000 square feet of meeting rooms/classrooms.A 6,000-square-foot lobby that could be converted to hold special events or for dinning.A catering kitchen.A 450-space parking garage.“It’s not risky. There are cities and communities all over Colorado doing this, and we need to play catch-up,” Frank Lockwood, executive director of the Durango Area Tourism Office, told councilors. Proponents estimate the center would generate $21 million to $31 million annually in economic activity and increase local tax revenues by $1 million annually. “Our philosophy is: To make this work, you must have as much flexible space as possible to generate as much revenue as possible,” said Bud Franks, a prime proponent of the center and co-owner of Franks Associates, which develops arts, conference and business centers. The idea, he said, is to hold conferences and business events in the morning, weddings and other rental events throughout the day, and theater and performing arts events at night “to keep the doors revolving” and generating the maximum income possible. The center’s site, near downtown, is important not only because conference attendees prefer to be near hotels, restaurants and shopping, but also to deliver an economic boost to merchants, he said. Lockwood noted a conference and events center would allow the region to tap into the $325 billion national market for meetings and conferences that currently cannot be reached by existing infrastructure. Several proposals to build a conference center in Durango have been examined since at least the 1980s, and in 2007, the Business Improvement District commissioned a feasibility study. The current proposal comes from work done by a group calling itself the Durango Arts/Cultural Working Group, which formed in 2016 and has been meeting regularly since then. Steven Elias, dean of the Fort Lewis School of Business Administration, another backer of the project, said the center would provide the college with a venue to hold academic conferences, aid in student and faculty recruitment and provide internship, part-time jobs and educational experiences for students. However, Al Harper, owner of the D&SNG, said after the meeting that he is not convinced the project could be built without harming the railroad. Harper owns 3.2 acres of the proposed building site and the city owns the other 1.4 acres of the parcel, which now provides 300 parking spaces for the train. Harper noted the $31 million in economic activity the center is touted to generate pales in comparison with the $190 million in economic activity he said is generated by the D&SNG in a normal year. The property now occupied by Albertsons, Harper said, might be the most appropriate site for an events and conference center. He also suggested locating the center at FLC. 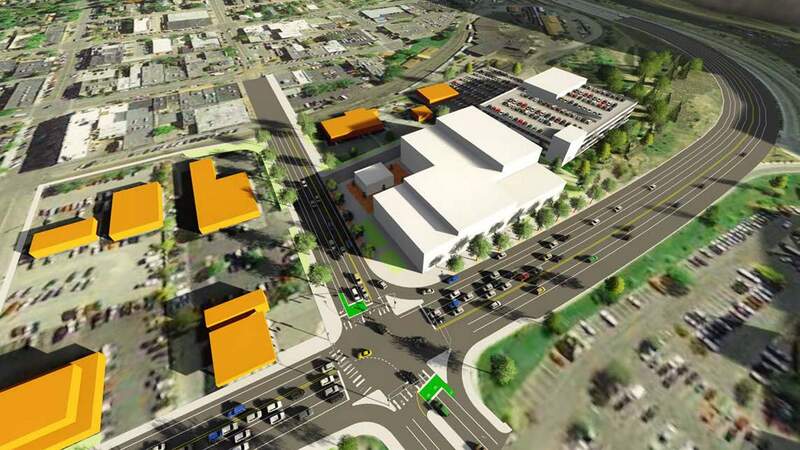 During the 18 months to two years it would take to construct the project, Franks said 200 parking spaces could be maintained on the parcel while a parking garage is built to meet D&SNG’s parking needs. Another 100 parking spaces would have to be secured and dedicated to train customers during construction. After the 450-space parking structure is completed, the arts and conference center would be built. Harper also said 20 percent of his passengers arrive in buses and RVs that would be difficult to accommodate in a parking structure. Tim Walsworth, executive director of the Business Improvement District, said a public-private partnership is vital to bring the proposal to fruition. And the group was asking the city to make staff available to aid in the planning for the center and figure out optimal ways to move forward. In addition, he said city staff could help in finding different financing vehicles to pay for development. However, councilors remained uncommitted after Tuesday’s presentation. How many hotel rooms in Durango are too much? Do you think a conference center in Durango could generate between $21 million and $31 million in economic activity annually?